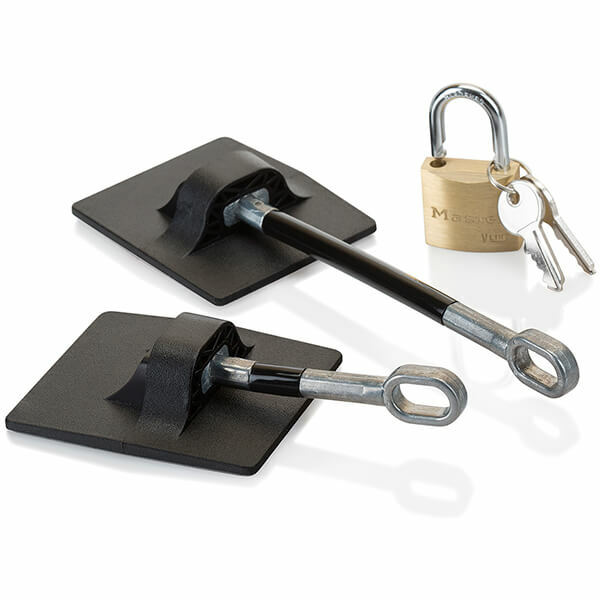 These refrigerator locks are used to secure refrigerators or other openable equipment where entry control is needed. No drilling necessary! Which Padlock should I choose? 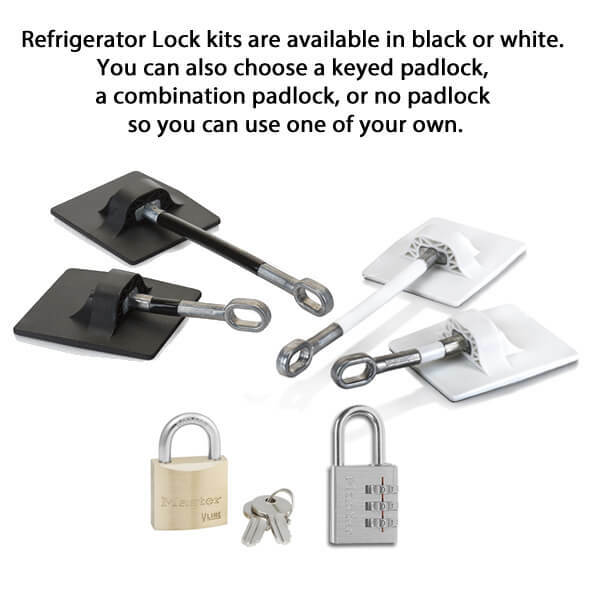 These refrigerator locks require a padlock (not included). You can use your own padlock, or you can choose one of ours. Why are we offering 2 different padlocks? Every person has a different need or aesthetic that fits their situation. This lock comes keyed-alike. 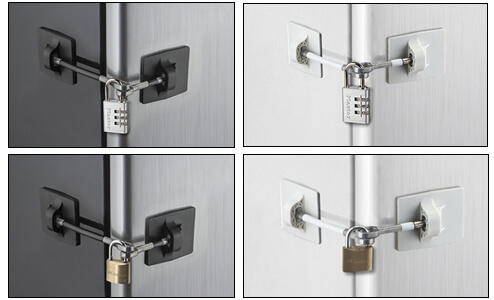 If you order multiple refrigerator locks, we will key all the padlocks the same. If you have purchased these in the past and have a key number you wish to match, please enter it in the previous key# to match field. This lock is resettable to allow for a personalized combination. 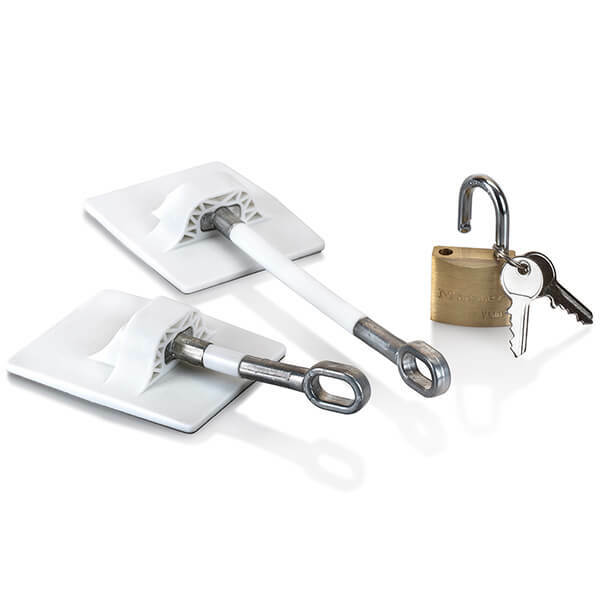 If you prefer to use your own padlock, choose the "without a padlock" option and we will send the kit with no padlock. Use on your full size refrigerator, mini refrigerator, side by side refrigerator, freezer, tool chest, printer tray, single file drawer, or any other 'openable' equipment where entry control is needed. 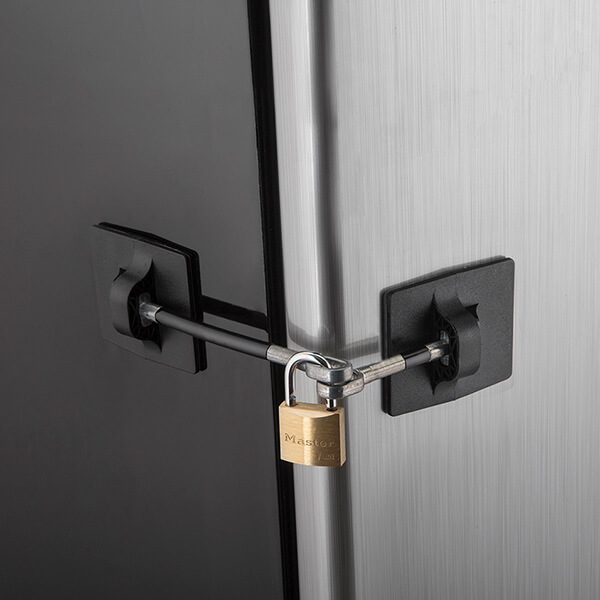 These refrigerator locks are a permanent installation. Once adhered, they CANNOT be removed. Two 21⁄2" x 3" plates with steel aircraft cables and 3M's best VHB adhesive tape. Masterlock brand keyed brass padlock - keyed-alike. Masterlock brand set-your-own combination padlock. 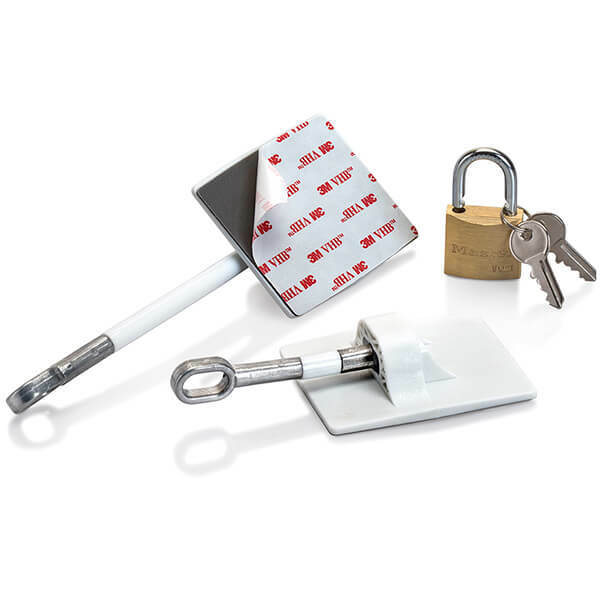 No padlock - if you prefer to use your own padlock, we will send the kit without a padlock. NOTE: These plates cannot be adhered to painted or laminated wood.